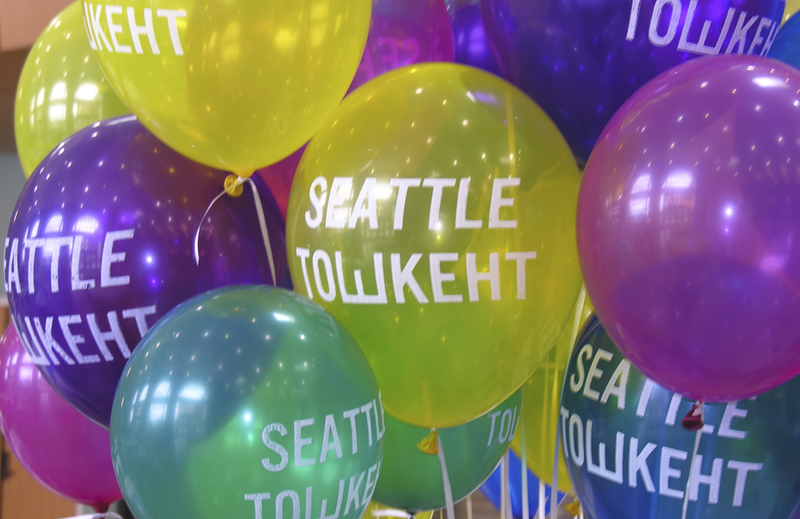 Everyone is invited to the Seattle-Tashkent Sister Association Annual Meeting on Tuesday, December 5, from 7 to 8:30 PM, in the North Star Dining Room at North Seattle College. Next year will mark the 45th Anniversary of the STSCA, and we plan on sending a delegation to Tashkent in September 2018 in honor of the anniversary. If you are interested in joining the delegation, we encourage you to attend the meeting! Former STSCA President Dan Peterson will present a slideshow on past Seattle-Tashkent exchanges, and we will discuss plans for next year’s exchanges in honor of our 45th anniversary. Come join us to meet the Board of Directors, hear about our activities for the past year, nominate yourself to join the Board, help elect new Directors, and enjoy light refreshments. See you there!